This post is sponsored by Similac. All opinions are my own. See below for additional disclosures. It’s a well-known fact that breastfeeding is best for baby. But when breastfeeding isn’t an option or won’t work for your family, you still want to provide the very best for your baby. 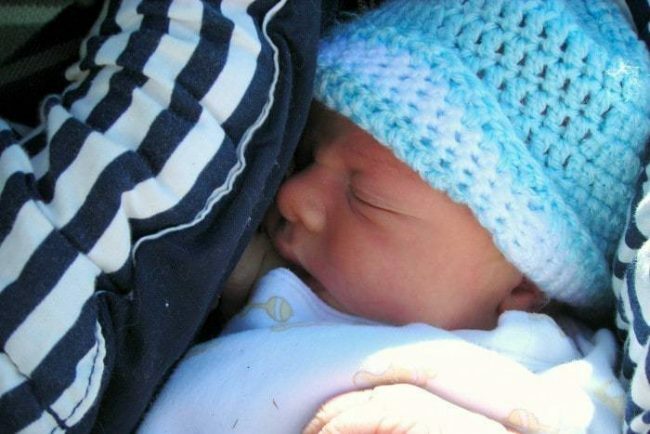 If formula feeding is the best choice for your family there are things you can do to increase the connection and bond that comes both naturally, and out of necessity, when breastfeeding. There are also important things you can do to ensure you’re giving your baby the best nutrition possible. – Do Your Research – There are so many formula products on the market so it’s important to do your research and make sure you find the formula that’s best for your baby’s healthiness and happiness. You also want to find formula that has ingredients similar to that in breast milk. – An Important Advancement for Baby’s Immunity – Did you know that one of the reasons breastfed babies have stronger immune systems is because of the presence of Human Milk Oligosaccharides (HMOs)? HMOs are special prebiotics that are naturally found in breast milk that feed good, beneficial bacteria to an infant’s gut. Over 70% of the immune system exists in human guts. Some kinds of these healthy prebiotics are absorbed into the blood stream. Similac has spent years in research and development of HMOs to be able to provide the same immune-nourishing ingredients to all babies — no matter their feeding choices. The addition of HMOs to formula will be a huge innovation for moms who formula-feed. Currently, Similac’s formulas are uniquely designed to have a full range of nutrients and vitamins an infant needs for their growth and development including prebiotics, DHA, Lutein, Vitamin E, protein, fat, and calcium. Oxytocin, often called the “love hormone,” is released whenever you participate in skin-to-skin contact with a loved one or other signs of affection including touch, kissing, and eye-to-eye contact. Even if you don’t breastfeed, you can bridge the emotional gap by mimicking the behaviors that are a natural part of breastfeeding. – Bonding on Demand – It’s often listed as one of the benefits of formula that you can put your baby on a schedule and make life a bit more convenient for the parents. But feeding time allows your infant a time to bond with you and seek comfort, even if they’re not necessarily hungry. While you track your baby’s feeding schedule and make sure they’re consuming enough calories, you can still allow the on-demand approach to comfort. If your baby seems fussy, they may just be seeking some one-on-one time with a parent. – Keep Eye Contact – It’s really easy with all the technology we have around us today to use feeding time as a chance to multi-task. WE scroll through our social media channels or check emails. Save all the meaningless time killers and soak up every second you have admiring your infant. Your baby will grow incredibly fast and will be independent much sooner than you’re ready for that shift. Before that happens, make the most of feeding times; tell your infant stories, sing to them, have a conversation with your baby, or just look into their eyes and memorize all their tiny, perfect features. – Use Touch to Bond – Touch is such a powerful mode of communication. You can softly caress their face, smooth your fingers through their hair, rub their back, or wrap their tiny fingers around your finger. That soothing touch will be a comfort to them and help them feel loved and cared for. 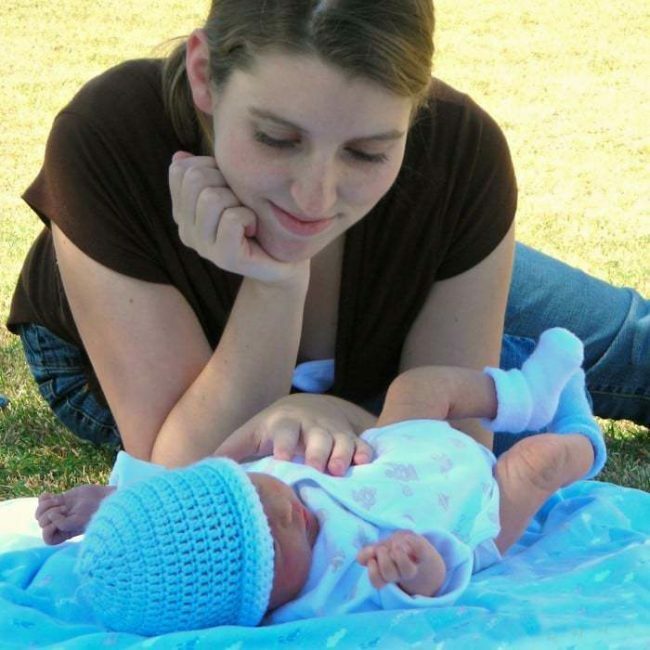 You can even replicate skin-to-skin contact while feeding, if you’d like, or take a soothing bath together with your infant when you are both ready for that step. – Baby-Wear Your Infant – A great way to have that time and closeness to each other is to wear your baby! 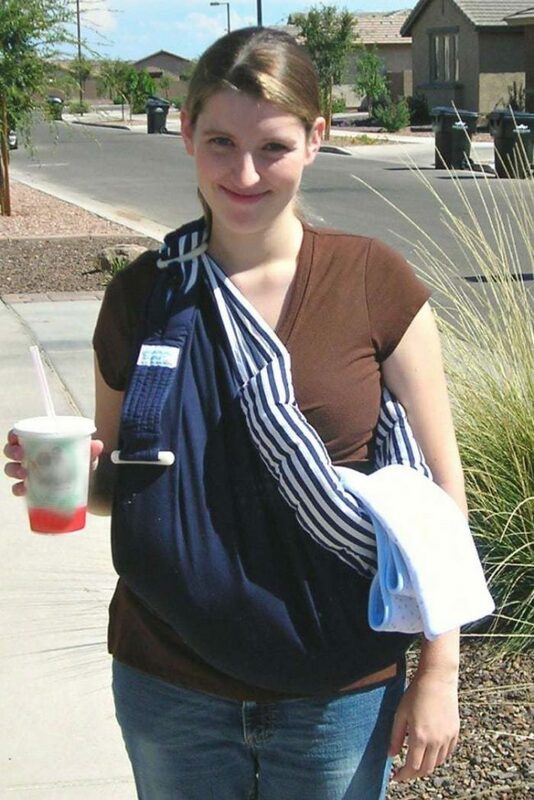 Get a wrap, sling, or other baby carrier that is comfortable for both of you. It will give you the freedom to get important tasks done around the home while spending lots of time with your new baby. The key is to provide the nutritional and emotional needs that your baby has to provide the best possible care you can. Our little babies grow up so incredibly fast, and a huge portion of their growth happens during that first year of life. In what ways do you stay connected with your infant, no matter your feeding choice? Similac partnered with influencers such as me for the Launch of Its Pro-Advance and Pro-Sensitive products. As part of this Launch Program, I received compensation for my time. Similac believes that consumers and influencers are free to form their own opinions and share them in their own words. Similac policies align with WOMMA Ethics Code, Federal Trade Commission (FTC) guidelines and social media engagement recommendations. This was a nice post about feeding the baby. You did a good job of explaining the benefits and reasons for both breast and bottle feeding without condemning either choice. I agree – I loved mine until my son got too big to carry in it. It was a sweet on to love on each other and still get things done! Baby wearing was my favorite way to bond! Love how you are trying to connect all mommas to their babies. I love those photos! Brings back so many memories. I breast fed and bottle fed my babies and felt connected doing both things. Every mom needs to do what’s best for her baby and herself. Formula is often a healthy way to supplement or substitute feeding for babies depending on the child and the situation. I hope my body allows me to breastfeed after I give birth. These are all really great tips… I just started my third trimester so this is all so interesting for me to read! Thank you! I formula fed all my children with Similac, because I wasn’t able to breastfeed. We were still connected and bonded. Love your tips! 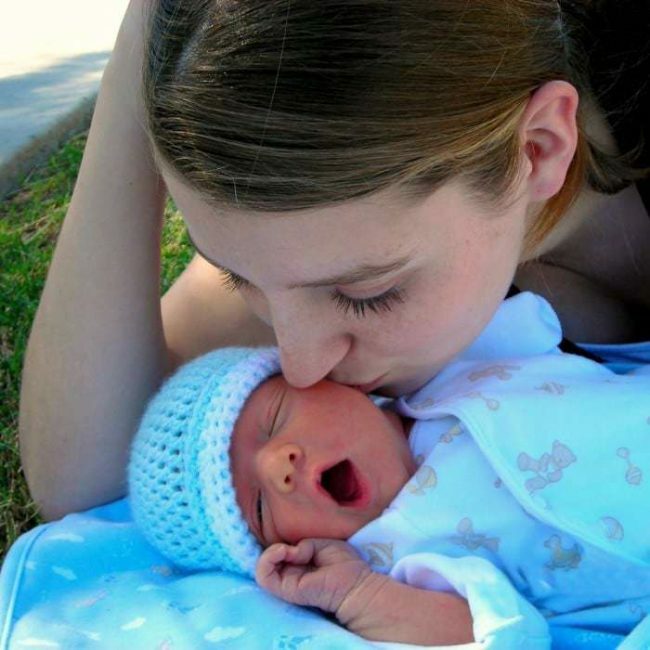 Do not have a newborn anymore, but when I did I did nurse him quite a lot. He was never fond of the baby carrier but I loved cuddling with him. Similac is a great brand of formula and it is the one we used. 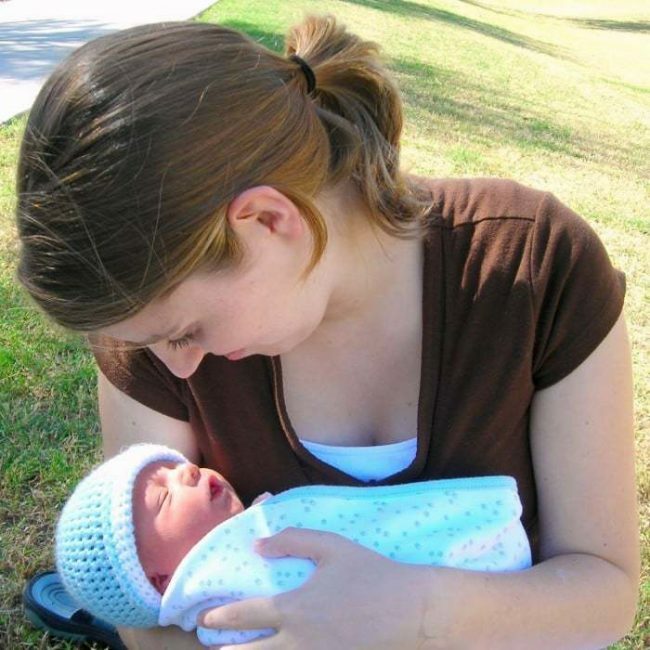 I had a lot of issues with my asthma when I had my son and I wasn’t able to breastfeed. I made sure that I had a lot of cuddle time. I love this post. Breastfeeding isn’t the only way to be connected with your kids. I wore mine like another article of clothing.